How much do you really know about Legionella, the risk factors and control measures? If you’re a landlord, lettings agent or property manager, you need to have some basic knowledge as part of your role as the Duty Holder. Even if you have decided to outsource Legionella control to a specialist company, legally you must still have an understanding of the issues. 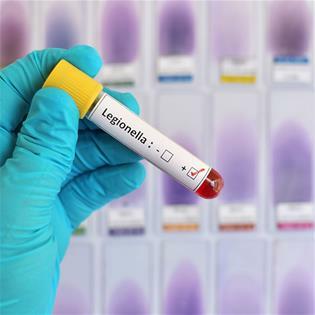 How many known species of Legionella are there? What is L8, in the context of Legionella control? What is a schematic drawing? What is the water temperature range at which Legionella bacteria is most likely to thrive? What kind of deposits in your water system might help to feed bacterial growth? What action should you take to prevent Legionella growth if your property is unoccupied? What could you ask your tenants to do to help prevent Legionella proliferation? At what age are people most at risk from Legionella bacteria? Can you name three other risk factors? When should you review your Legionella risk assessment? If you rent out a room in your house, let a property through Airbnb or own a holiday let, do you need to have a Legionella risk assessment? These are all basic questions which a Duty Holder should be able to answer, so if you’re struggling it’s a clear indication that you need to book yourself on a suitable training course. As an accredited member of the Legionella Control Association (via our parent company, Urban Environments), we offer various training modules which are designed for your needs. If you’re not sure what level of training is right for you, have a look at our advice post on how to pick a suitable course. Get in touch today to find out more and book your place. Lastly, if you want to know the answers to the questions above, follow us on LinkedIn and all will be revealed next week!